The food industry is one of the most essential parts of the overall market and there is no surprise that it is booming at a fast rate. 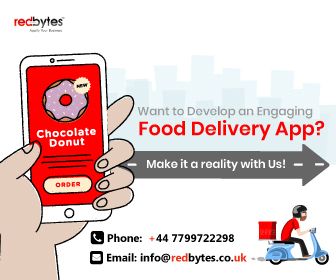 The UK food industry is no exception in this cycle and has gone to a whole new level with the advancement of technology and food delivery apps. The meal companies are now working to increase their sales with an online mode that can have immense growth. The food delivery apps are one such addition to help in increasing sales and work on the rapid escalation. It is predicted that, by the year 2022, the food industry will witness the annual growth of 17%. The use of such food delivery apps are increasing rapidly and have made it easier and faster for customers. It is one of the most preferred methods that is used by the public instead of dine-in options. It is much easier than what we can initial predict to keep the site in the flow with orders handled by a restaurant and its delivery process. However, the new deliveries services take up money from both sides – client and customers – that make it not an ideal approach to be in. It is one of the global delivery application that is responsible to develop a huge fan following among the industry. This is extremely famous is not the only the UK but also in the Asia, North and East America countries. It has become major take away that cover a maximum of delivery options at a fast rate. An easy platform for food order along with take-out restaurants search. Has a payment gateway that allows easy payment of food. One can also choose to get food delivery or pick-up. Another of the top name in the delivery platform is Food hub that has all the essential features covered with no commission charges from restaurants or customers. It is a great way to ensure that business is growing at a steady pace. Introduce a wide range of cuisine that allows a user to have a number of choices It has convenient options for takeaways form India curry to pan pizza. Works on tablets or mobile phones to detect a nearby restaurant as per the location. No service charge for orders or deliveries. The most popular application that is used by millions of people in the UK is Deliveroo. It is one of the major application that covers the majority of features with the man on a bike for delivery mouthwatering food available at your disposal. It covers the majority of fanciest restaurants in the location with a different type of services. It is yet another of the most famous option for the application delivery that is claimed by the users for food options. This application has a great repo with over 10,000 restaurants in the area with a wide range of service options for customers and restaurants. The application is extremely reliable and easy to use that make the audience hooked to it. The application is free of cost and has so many options for customers to browse through. It has a GPS position and postcode that makes it an ideal one to order food online irrespective of location. As the driving services application, Uber is a famous application that one can opt for. However, as the name suggests, Uber cool is the best terms to describe it all with a set of amazing mouthwatering dishes. It is not limited to the restaurant options but has an amazing option for food delivery as well. The main features covered by applications are it is intuitive and easy to use with the best interface option. It is amazing for order scheduling and has a GPS system to make it easy for delivery tracking. The payment gateways options are secure and can be used without an error or theft to account. Pizza is the lifeline of the modern era. Whether it is in the UK or any other country, it is one of the most famous food options that one usually opts for. Especially, if the Domino is added to the whole delivery option. It is one of the applications with safe and secure payment options such as PayPal, credit card, cash on delivery etc. The application can suggest pizza as well that makes it customize or built their own taste for pizza. Along with this, it also has the pizza slot machine to work on the peculiar taste for the pizza options. There are also amazing vouchers and deals available for the next order to avail good discount. 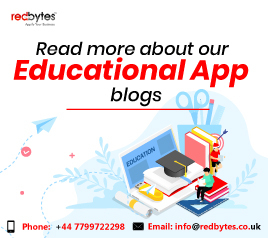 It is one of the most famous application, not only in the UK but in other countries as well. Its peculiar and excellent selection in terms of food hubs and restaurants gives it a reputation of best application. It provides a wide range of choice for restaurants to feed it. This also has an option for reviews allowing one to know how well the restaurant is maintained. It is simple and convenient to use with no complex featured added to it making it reliable than others. It has the option of Zomato Gold that opens up a number of exciting deals and offers for customers. 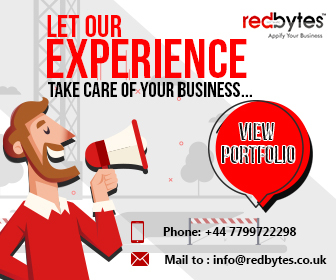 It is one of the oldest application that is used in the UK with so many options. It is a great food chain options fast food and coffee cade options available. It has a wide range of options for coffee houses and fast food options. This is also famous with the five-star meal for a quick bite and take-away options. It is one of the food options that has included healthier selection to it. the food ordered in this network includes a set of application that has nutrition food. The food options include juice, healthy salads, wraps and so on. With a simple click of a button, the food will be order and delivered at the footsteps. The food choices are healthier for the people that have a particular taste in food such as gluten-free. Vegans, and even Paleo selection. This falls under the category of a new addition to the food industry that was famous in the UAE. It has a wide of this niche added to the options to ensure that no major things are missed out. However, it is not much famous with people but in the short span of time, it has gained a lot of popularity. The application includes a lot of food options and has a set of popular choices for users. The selection is easy to make while working on the food options to add in the cart as per the quantity. It includes a number of restaurants that are famous in the UK with secure payment options. These are some of the well-known applications for food delivery that are used in the UK. The applications include an amazing option for delivery services that opens a lot of possibilities for delivery food.